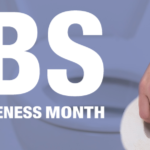 Because April is IBS Awareness Month, we’d like to take this opportunity to share some information about this common condition. Irritable bowel syndrome is the most common functional gastrointestinal (GI) disorder in the world, experienced by an estimated 10-15 percent of the population. “Functional” means it’s not a condition that is detectable through common diagnostic tests, and in which no apparent structural or biochemical abnormalities account for the symptoms. According to the International Foundation for Gastrointestinal Disorders (IFFGD), even though many people with IBS don’t seek medical care for their symptoms, there are still between 2.4 and 3.5 million doctor visits for the condition each year in the United States alone. Among those who do report it to their doctors, about 40 percent have mild symptoms, 35 percent have moderate symptoms, and 25 percent have severe symptoms. More women than men report IBS symptoms, with the split between the two about 40 percent vs. 60 percent. This prevalence in women becomes a concern because IBS symptoms can lead to unnecessary surgery. The IFFGD reports that hysterectomy or ovarian surgery has been reported in female patients with IBS as high as 47 percent to 55 percent, due to misdiagnosis of their condition. As mentioned, there are no specific tests for IBS. Diagnosis is made through a process of testing to eliminate other, more severe conditions. One reason it’s difficult to diagnose the disorder is because the symptoms vary from person to person. Centered on the large intestine, symptoms can include cramping, abdominal pain, bloating, mucus in the stool, gas, diarrhea, constipation, or both. It tends to be a chronic condition, meaning it doesn’t go away, although the symptoms seem to come and go: from mild to worse and back again. Often, symptoms will disappear completely for a period of time, and then recur. The precise causes of IBS are unknown, but research suggests certain factors might contribute to it. For example, some women find their symptoms increasing during their periods. Others can count on worsening symptoms when they’re in a stressful period in their lives. Other causes may include stressful or difficult early life events, such as physical or sexual abuse. Bacterial infections, including small intestinal bacterial overgrowth, appear prevalent in those with IBS. Food intolerances may play a role, and research also suggests that some people may have a genetic predisposition toward developing IBS. Once a diagnosis of IBS is reached, it can be managed through diet or lifestyle modifications, or counseling and medication for severe cases. In addition, there are various medications that have been used successfully to treat IBS, or at least reduce symptoms. These include drugs to treat diarrhea, or different ones to relieve constipation. Anti-spasmodics can help calm the associated intestinal spasms in the colon, and some patients will even respond favorably to certain types of antidepressants. Because IBS can interfere with daily activities, and in severe cases even reduce your overall quality of life, it’s important to know that it can be managed. 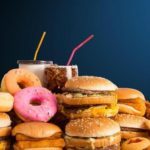 It’s also important to rule out other, more serious causes of intestinal dysfunction. So if you are experiencing any of the symptoms described here, please let us know. We can help you cope with this distressing condition.